There is something easy to love about dragonflies. It's more than just their acrobatic flying and rich iridescent colors; their metamorphosis from nymph to adult signifies self-change and offers a sense of renewal. 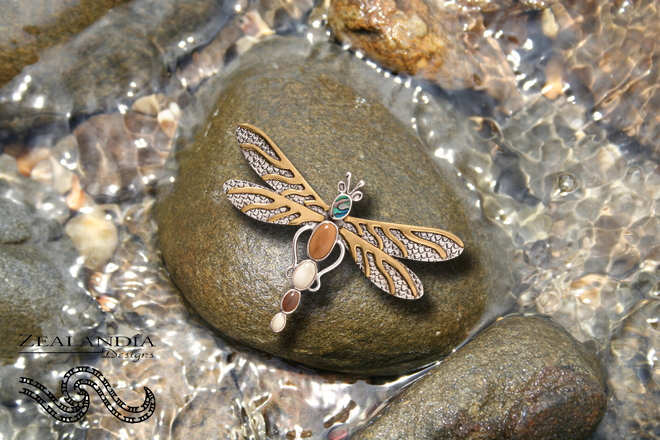 Dragonflies represent purity, speed, agility, and although they look rather delicate, they are actually quite robust. 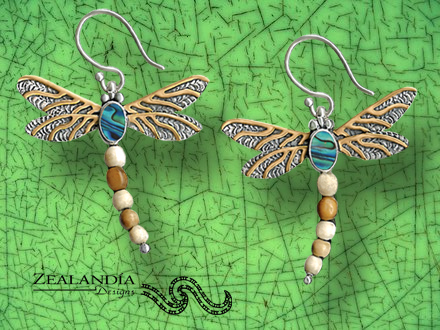 Dragonfly jewelry is a powerful symbol to carry with you and is a meaningful way to connect to the natural world around you. 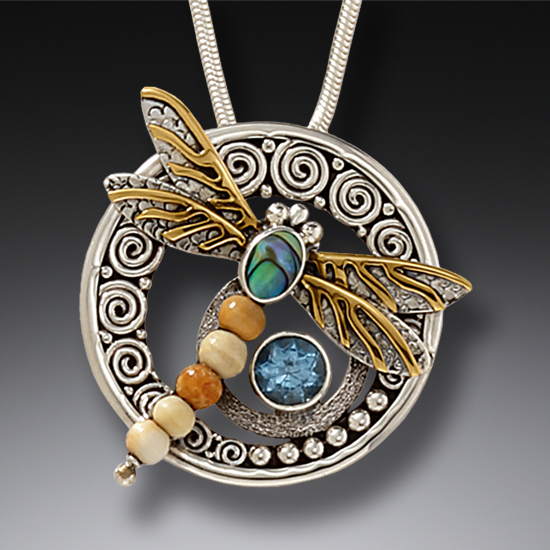 Dragonfly II - made with 14kt gold fill, sterling silver, paua shell, and fossilized walrus ivory. Dragonfly eggs hatch into aquatic nymphs, which then grow for anywhere between two weeks to five years, depending on the size of the species. They molt up to 15 times as they grow, before finally exiting the water and molting one last time into a mature dragonfly with wings. An adult dragonfly lives for only a few weeks, having spent the vast majority of its life as a water-dwelling nymph. Seeing a dragonfly is even more magical now, isn’t it? Now that you know it had an expansive aquatic lifetime leading to the narrow window of time in which you caught a glimpse of it zipping through the air. Nature’s timing is a beautiful thing to witness. As far as their scientific classification, dragonflies are part of the Odonata order. 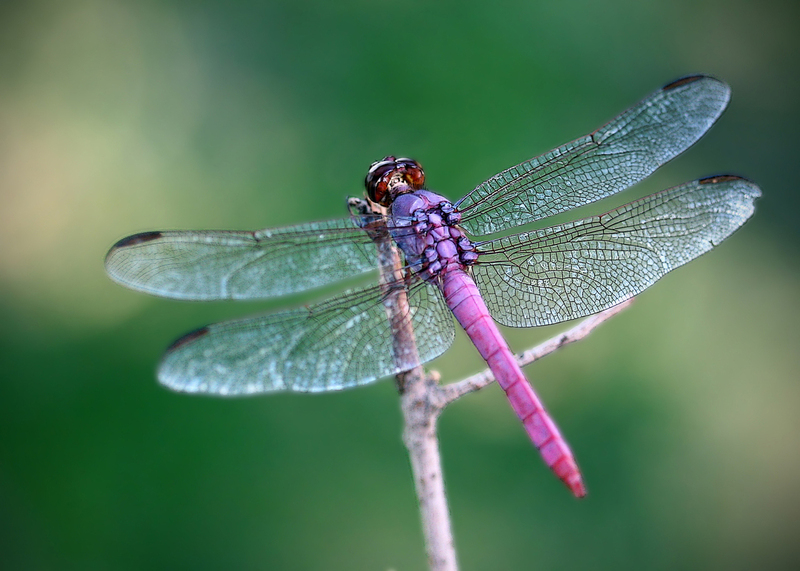 Dragonflies are sought out as a hobby, much like bird-watching, and the practice is known as oding. Of the 457 species of odonates, 225 have been observed in Texas. So if you’re really looking for some odonata sightings, grab a field guide and head to the lone star state. Some of the dragonfly names are fantastic: Spiny Baskettail, Flame Skimmer, Pacific Spiketail, Widow Skimmer – they sound like they could be real dragons, don’t they? Adult dragonflies have extremely good eyesight and are exceptional fliers. They can even fly backwards! Their strong, agile flight makes them a fierce predator of many insects, including pesky mosquitoes. A dragonfly can consume as much as a fifth of its body weight in just one day! They are definitely a “good bug” to have around. Because they consume many insects and are consumed by many animals, dragonflies are an important species to the health of many ecosystems. They are also a good indicator of water quality. Some call them the “canary” of waterways for their sensitivity to pollution, as they rely on clean water for their eggs and nymphs. There is much to be learned from the world around us and there are so many creatures willing to teach us. Observation and admiration are a good start to understanding the delicate web that ties us all together. 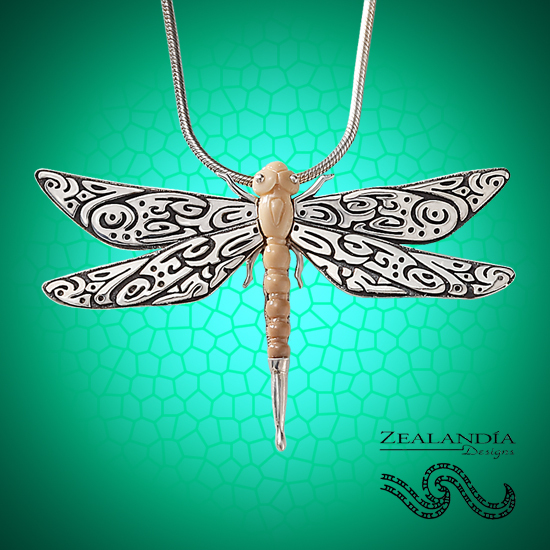 At Zealandia Designs we are continuously motivated and inspired by the natural world and we hope you find connection and personal meaning in the jewelry we create.